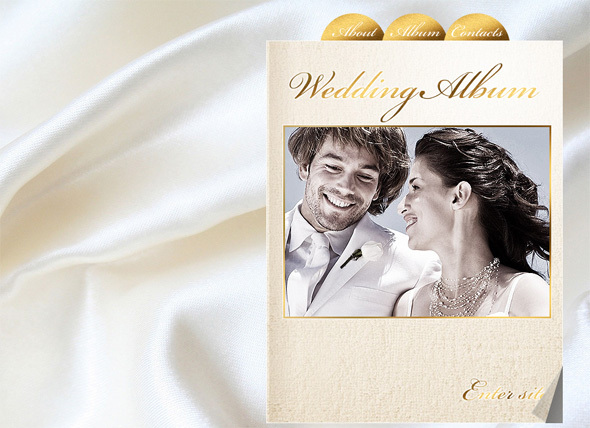 Today we have got an excellent news for you – our collection of stunning Flash Flip Book Templates has become richer! 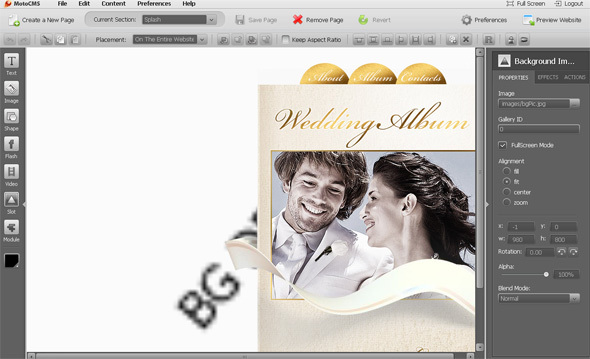 The interactive drop down menu of the template is performed in the form of golden half-circles. To view the menu just point the mouse over an interactive menu button. There is an ability to add as many menu sections and sub-sections as you need. 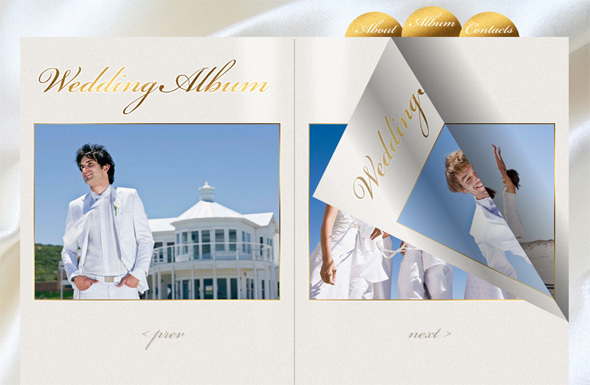 The navigation of the Flip Book Template is performed by means of either the menu buttons or by clicking on the interactive “next” and “previous” arrow buttons below the gallery images. Also, you can wrap the pages by dragging the page’s corner or just by clicking on it. If you look inside the template’s control panel, you will pretty stoked with the widest opportunities the template offers for both developers and end users. Due to the richest variety of the in-built modules, widgets and slots integrated into the control panel, it is possible to easily customize and then manage and edit your Flash flipping book. The photo gallery slots (such as Photo Gallery Lightbox, Photo Gallery Thumbnail List and Photo Gallery Preview) can be linked between in order to create a really functional image gallery. You can easily change the website’s appearance: change the background, add buttons, effects and shapes. You can create the unlimited number of pages within your Flash CMS flipping book. In addition to flip book effect and advanced gallery opportunities, your Flash Flip Book will be equipped with Media Player, Google Maps Widget, a creative Contact Form, Rich Content Block, RSS Reader, and other widgets, functions and tools. This stylish Flash CMS solution will perfectly work for any photo/image portfolio or your personal photo album. Also, you are welcome to browse the richest collection of other CMS based Flash templates and choose a Flash Template for your future web project.